Father (お父様, Otō-sama) is the central antagonist of the manga and 2009 anime series. He is the oldest and most powerful Homunculus and identical in appearance to Van Hohenheim. He is also the creator and leader of the Homunculi. Name: Homunculus, the Dwarf in the Flask. Known as Father by his children, and as the "Philosopher of the East". Range: Standard melee range. Tens of kilometers with his abilities. | Hundreds of kilometers via his size | Standard melee range. Hundreds of kilometers with his abilities. | Standard melee range. Tens of kilometers with his abilities. Weaknesses: Removed all of the deadly sins from himself, Alchemy and regeneration drain his souls, and he is not used to fighting physically like Hohenheim | None notable | None notable | Cannnot contain his god powers and it will strain and weaken him considerably over time. Philosopher's Stone Creation: Instantly create Philosophers Stones from nearby humans. Homunculus Creation: Create a Homunculus from his own being, or by placing some of himself into a human. 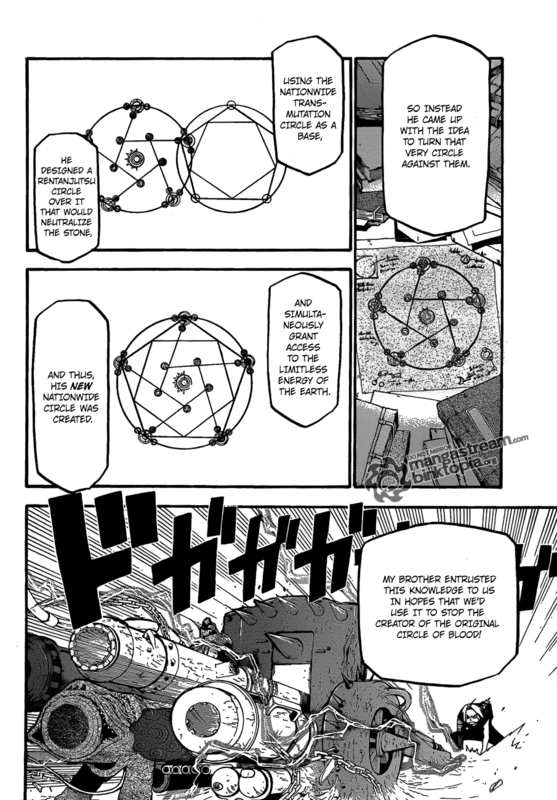 Father's original form, right before the activation of the nationwide transmutation circle in Xerxes.